Home » Education Articles » Legal & Criminal Justice » Criminal Justice » Should I Become a Paralegal Before Law School? Should I Become a Paralegal Before Law School? As a law student, one of the most common questions is whether it can be advantageous to become a paralegal prior to enrolling in law school. When determining if you should become a paralegal, the first area to consider is if it will assist you with your law school application. Although becoming a paralegal is an extremely prestigious career to have, it does not explain whether it will help you to further your career as a future lawyer. When applying for law school, the board of administrators will analyze your experiences after post secondary schooling to determine if you are ready to be enrolled in law school. Although the majority of individuals may assume that becoming a paralegal before law school will help to impress the board of administrators, that is not always the case. With experience as a paralegal, you will provide the impression that you have experience with administrative tasks but not real court experience. The second area to consider prior to applying for a paralegal position is whether it will give you the legal experience that you need before entering law school. As previously mentioned, paralegals are quite versed with administrative tasks but it is rare that you will gather any substantial lawyer related experience. Considering that the majority of paralegals work within large firms, there is always more paperwork to do than areas of law to learn. If you are looking for a paralegal position that may provide you with valuable law experience, look into the not-for-profit sector as they focus more on developing their volunteers with valuable law skills. The third area to consider is whether becoming a paralegal will assist you with acquiring a job as a lawyer after law school. The majority of law firm recruiters examine the grades that the candidates received during their time in law school. Your work experience prior to enrolling in your school of choice is generally irrelevant to these individuals. Although being a paralegal may have brought you into the world of law, your future career will rely on what you learned during your schooling. There have been instances where law firms specifically search for candidates who have experience with paralegal firms or other areas of law. These firms are searching for those individuals with the most work experience. Although becoming a paralegal before law school has the possibility of not assisting you with getting a career, there are many benefits associated with the paralegal profession. 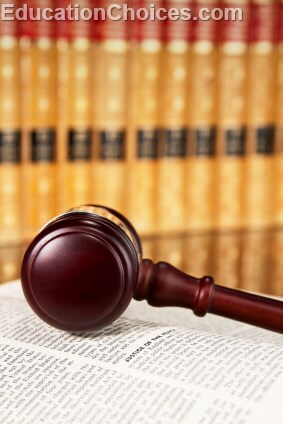 As a paralegal you will be able to see how other lawyers work and gather a general idea of the law profession. If you work within a smaller firm, you may even be provided with the opportunity to shadow a lawyer for a day. With this experience, you can determine if you are still interested in being a part of the legal profession. Becoming a paralegal before law school may have been disadvantageous for many, but there are some individuals who found it to be quite advantageous. Becoming a paralegal will not tarnish your experience in law school or your credentials, therefore the decision is based on your personal wishes.